​Gladys Schmidt, Beth Hopkins. Al West. ​"Time For Uke"﻿ is a performing group of retired music / ukulele teachers and friends from the Comox Valley / Campbell River region on Vancouver Island, B.C. Canada. 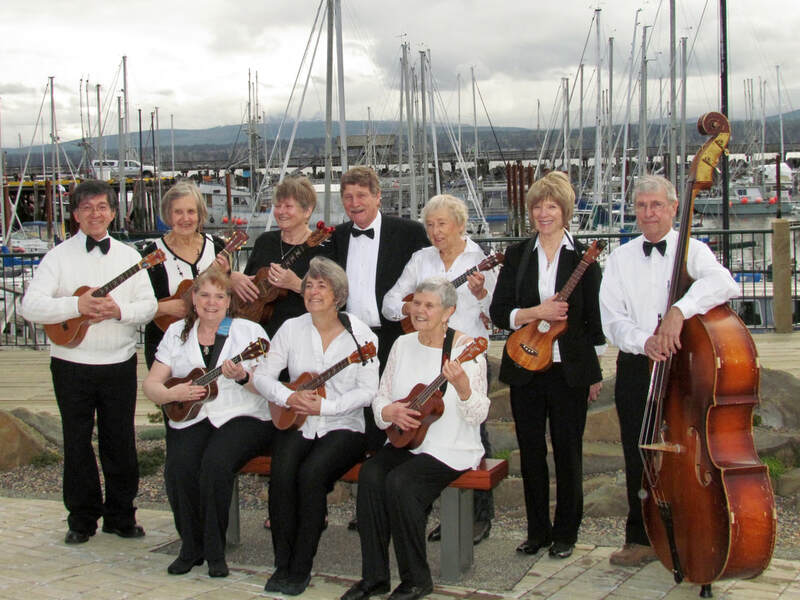 We have one common goal in the group, and that is simply to get together and make music on our ukuleles and share our love of music with anyone who wishes to listen to us. Our ten-member group has performed at local retirement villages, hospitals and other community venues and occasions, and look forward to more engagements in the near future.